NOTICE: UTMSI suffered damage in Hurricane Harvey. Our Port Aransas campus and the Bay Education Center in Rockport are currently closed to the public. Welcome to the University of Texas Marine Science Institute! The Institute established the first marine science public education program in Texas more than 30 years ago, and strengthening science education remains one of the most important facets of our work. Hundreds of teachers participate in our workshops, and we host field trips for thousands of students and their teachers yearly. The Institute provides educational Road Scholar programs for hundreds of participants each year. 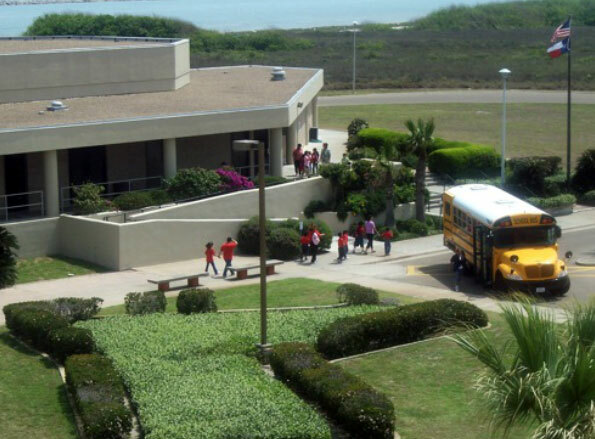 Tens of thousands of visitors regularly enjoy our Marine Science Education Center and Wetlands Education Center located at 855 E. Cotter Avenue, Port Aransas Texas 78373. Use the link on the left column to get more information on our programs.